At long last, the Doctor Who magnet set is all finished and available on my store! The magnets actually arrived from the printer a little before Christmas; it took a while to find plastic bags the right size and start cutting them out. But now they’re all ready to go! There’s going to be a special deal if you find me at a convention: an exclusive Thirteenth Doctor magnet! 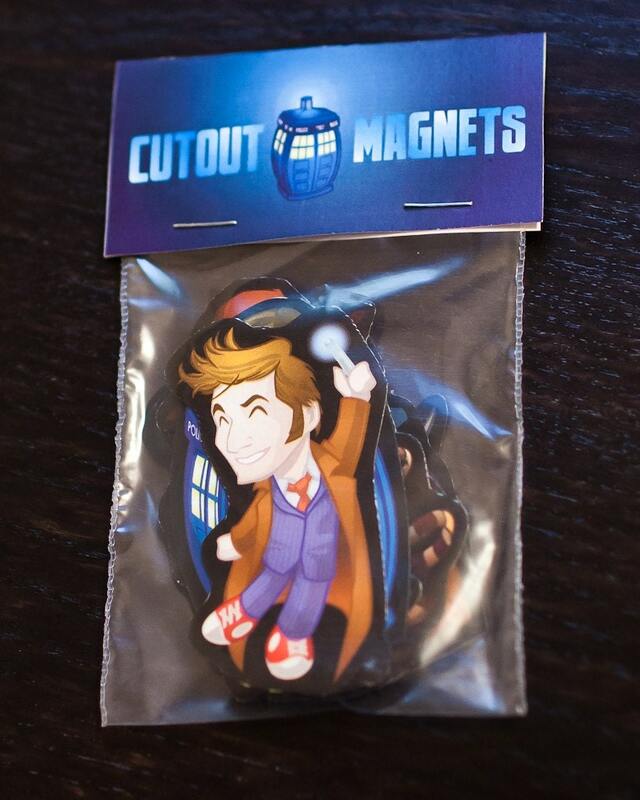 Well, technically a second Tenth Doctor magnet, wearing the brown suit instead of the blue suit. Only available at conventions, at no extra charge!